See the Top 5 ways to Drive Multichannel ROI with LiveVox Contact Manager. At the heart of the LiveVox [U] Series is our omnichannel CRM, called Contact Manager. 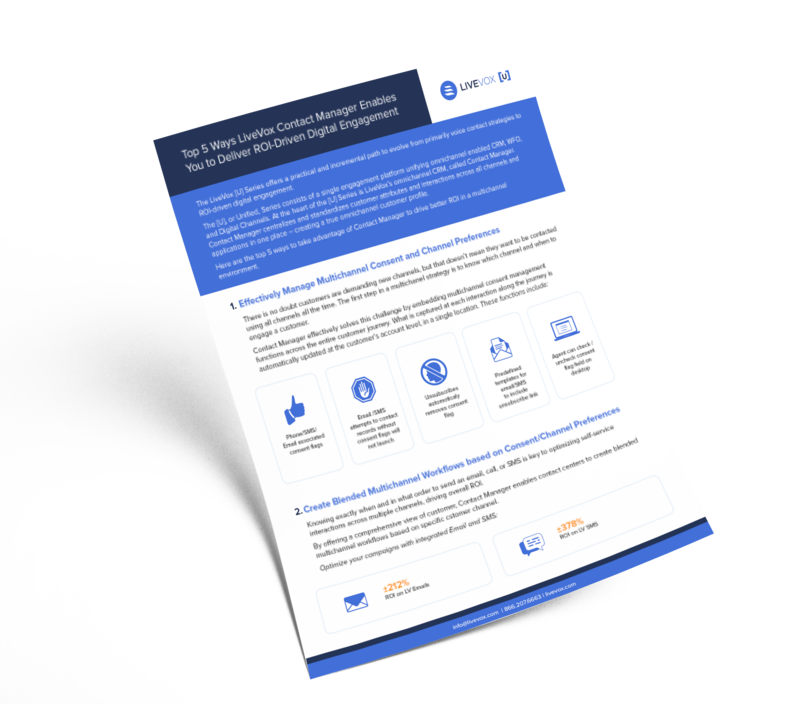 Download this short tip sheet to see how Contact Manager can help you drive ROI for both voice and multichannel workflows. The LiveVox [U] Series offers a practical and incremental path to evolve from primarily voice contact strategies to ROI-driven digital engagement. Start your journey on the [U] Series by leveraging Contact Manager on U8 today!